Why hello there one of the only creme eyeshadows I ever used in middle/high school that didn’t look crap on me! This was an absolutely favorite, of course the white site. 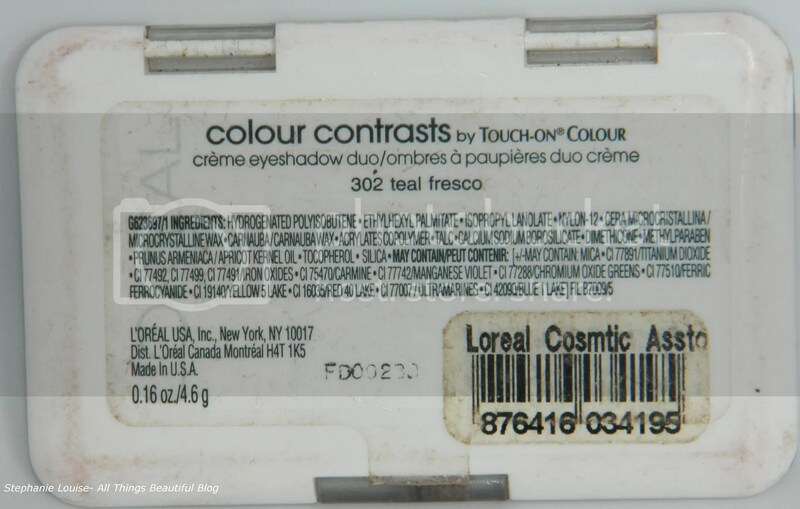 You’ll see why when I break down the colors below but for now let us take a look back at the L’Oreal Colour Contrasts by Touch-On Colour which were very slim palettes containing two creme shadows & a mirror. I honestly have zip information on it as I don’t seem to be able to pull up any discontinued information or old info on them. I sure wish they had a date on them! Why did I love this little duo so much? 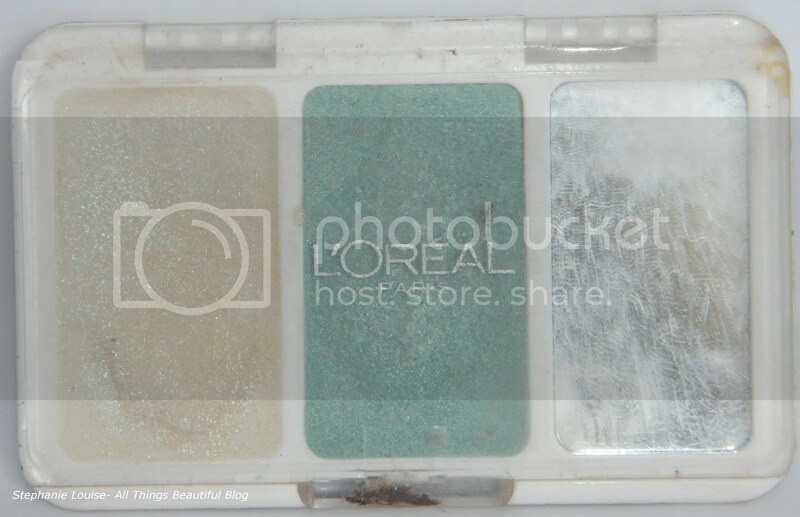 When I was younger & wanted a quick sweep of makeup I always used something shimmery. This shouldn’t be shocking to anyone right? 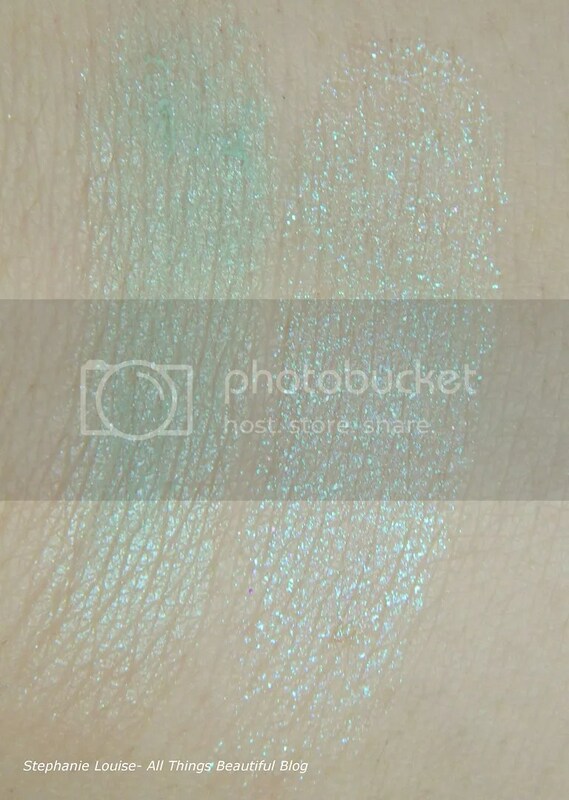 Anyway, the white side was a frosted super sheer sparkling teal shimmer. These were much more mousse feeling than a creme & they dried to a light powder as long as you didn’t use too much. You can see below they weren’t super pigmented but that didn’t really matter to me! 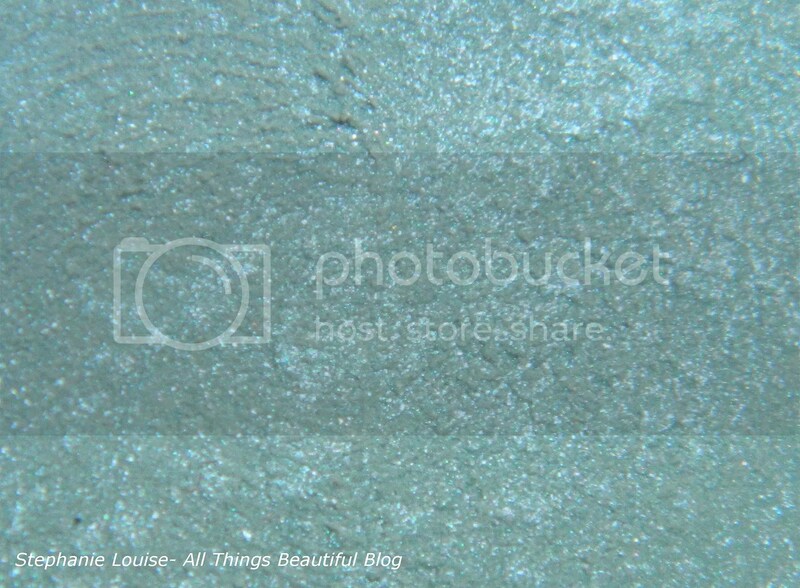 The teal side is super cool toned & from far away almost looks like a light seafoam teal. The frosted white side (which has seen tons of love!) 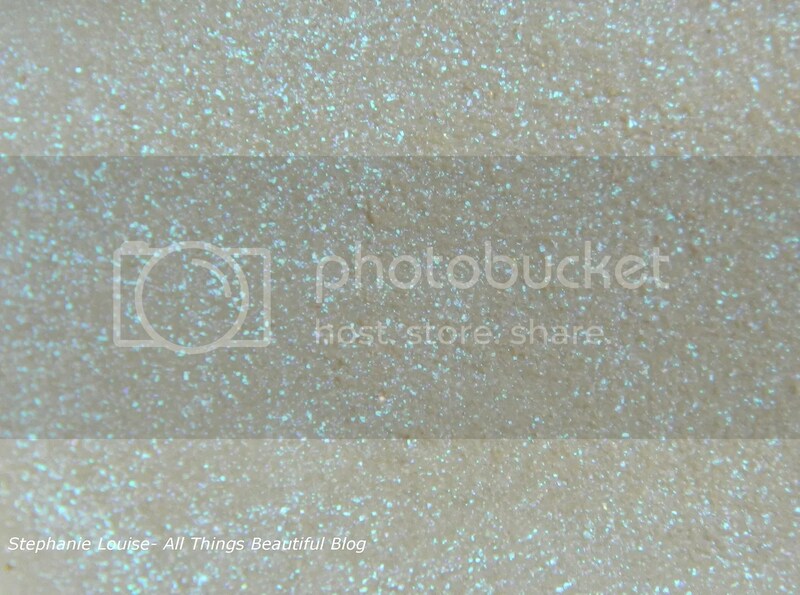 is a sheer frosty white with teal shimmer packed in. It really flashes in the light. 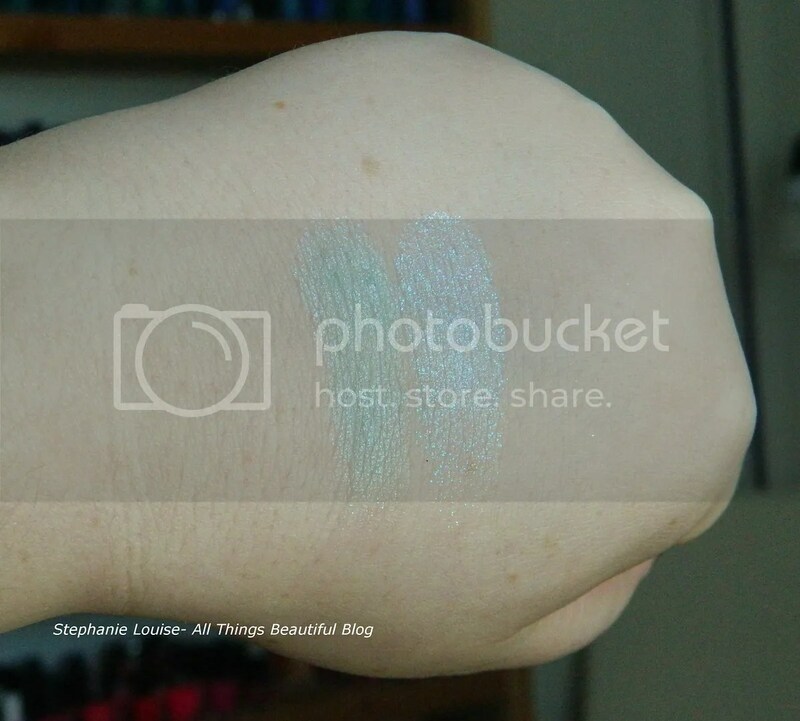 Here are the easy swatches & you can see what I mean by sheer color. But aren’t they pretty? I still think I’d buy a creme product or base that looked like either of these! I like that the teal is super cool toned so that it can go with blues or greens whether they’re pastel or bright. What do you think of these shades? They’re still perfectly creamy & gorgeous, way to stand the test of time! Did you have any of these duos? I’d LOVE to hear about them especially if they were different colors than Teal Fresco! Would you buy something similar to this now?